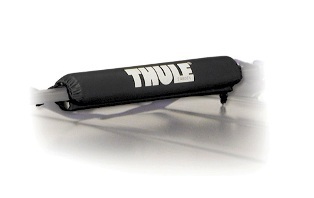 Thule® 556blk Sailboard Pads. Color: Black. These pads are super durable for surfboards, sailboards or anything else that needs padded transport. Covered with a weather-resistant nylon. Split design for easy on and off. Great for protecting all types of loads. 2 pads per package.